Some people wear shoes that cover too much during the summer. As a result, the wearer may feel uncomfortable or even self-conscience; this does not have to be your fate. Instead, choose a pair of sandals. Stay away from anything made of rubber; this will only make you feel sticky. There are many sandals on the market, and said sandals come in many sizes and colors. You can find something current and modern that fits your needs. Some sandals have embellishments. If it is extremely hot outside, consider thong sandals. When the summer arrives, it is difficult for some people to see where they are going; this is a result of the bright sunshine. You do not have to walk around and potentially damage your eyes; instead, look for a pair of stylish sunglasses. Consider oversize sunglasses. Oversize sunglasses ensure that your eyes will not be exposed to the harmful rays of the sun. You can also look like a Hollywood celebrity as you walk down the street. Make sure that the glasses protect your eyes appropriately; ask your eye doctor if you are not sure about what to choose. 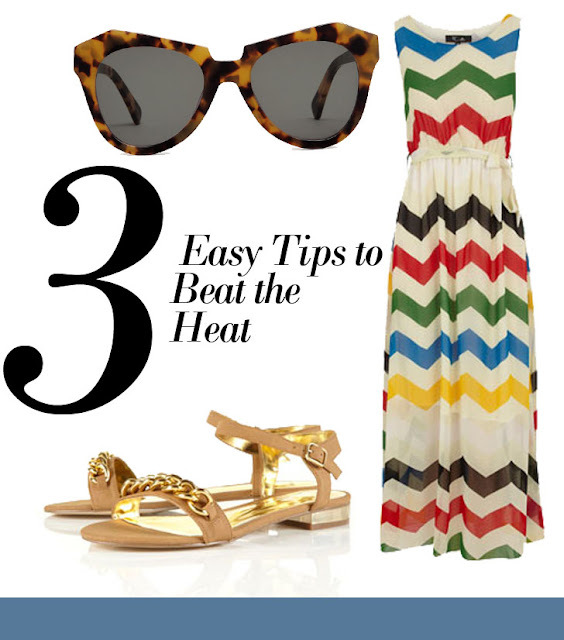 If you wish to stay cool in the summer heat, consider a maxi dress. A maxi dress is particularly loose in its fit. You do not have to feel that the fabric of the dress is pushing up against your body. The dress can provide breathable room. You can also look for jewelry for women that will look fabulous with the dress. Do not use too much jewelry, however. If you push your limit, you may start to feel heavy; this is unacceptable in warm weather. Sandals go well with a maxi dress. Some people assume that hot weather implies terrible outfits. You do not have to walk around in an outfit that you believe is ugly. If you are smart about what you put on your body, you can look good no matter how hot it is outside. The tips above can help you achieve your summer look.